DETROIT -- An internal review ordered in mid-2015 by top Fiat Chrysler Automobiles executives uncovered thousands of vehicle sales reported by FCA brands in the United States for which there were no actual buyers, according to two company sources. The insiders told Automotive News, a sister publication of Automotive News Europe, that following the inquiry, U.S. sales head Reid Bigland put a stop to the practice, which had resulted in FCA US reporting more sales than it actually made. The sources did not specify the precise time period covered by the review but said it revealed that 5,000 to 6,000 vehicles had been reported as sold by dealers and then "unwound." They said the sales numbers were inflated in part under pressure to preserve FCA's streak of U.S. monthly year-over-year sales increases, which now stands at 75 months. One source cited dealer complaints about the practice that reached CEO Sergio Marchionne before Bigland sought to end it. But he added that overstating of sales has crept back into play this year as competitive pressures on FCA's field staff have increased. Meanwhile, the other company insider said the employee turnover rate among sales staff in the company's nine business centers around the country is four times higher than in the rest of the company because of pressure applied from above to meet aggressive sales targets. FCA has declined to comment. The revelations come as investigators from the Securities and Exchange Commission and the Department of Justice look into FCA's sales practices. One of the company sources said investigators visited all nine regional business centers beginning July 11 and spoke with current and former employees. Investigators also visited FCA field employees and past employees at their homes, the source said. In January, FCA was accused by dealerships owned by Napleton Automotive Group, a Chicago-area dealership group, of civil racketeering in a lawsuit that alleged the automaker paid dealers to improperly inflate sales. 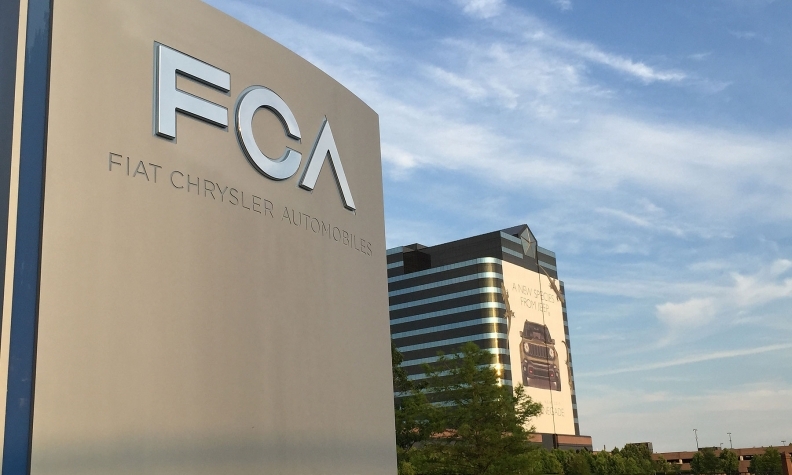 FCA called the allegations "baseless" and sought dismissal of the suit. The lawsuit appeared to spur the federal investigation. Bloomberg reported Monday, July 18, that the federal probe into FCA is in an early stage. The agencies would not comment on the scope or subject of their investigation. FCA said it was "cooperating with an SEC investigation into the reporting of vehicle unit sales to end customers in the U.S." The company said that "inquiries into similar issues were recently made by the U.S. Department of Justice." Both agencies and FCA declined to comment on whether warrants had been issued as part of the investigation. The FCA insiders say the company's streak has driven sales reporting abuses. The current run of 75 consecutive months of year-over-year sales increases in the U.S. is the longest such active streak of any automaker and has been a source of pride as the company rebounded after its 2009 exit from bankruptcy. Earlier this year, Marchionne said FCA's sales streak "has happened not because of the fact that I've discounted vehicles because the margins in our operations have improved, but it's happened because of the fact that, you know, there's brand equity and there's value in what we're selling to the customer base." The streak also has become harder to extend the longer it has gone on. Indeed, after the streak reached six full years in March, the automaker stopped mentioning it in its monthly press releases reporting U.S. sales. It was last cited by the company in its March sales release on April 1, when FCA began to include a lengthy disclaimer as to how it reported its monthly sales. The disclaimer describing FCA US' "method for determining monthly sales" said, in part: "FCA US reported vehicle sales represent sales of its vehicles to retail and fleet customers, as well as limited deliveries of vehicles to its officers, directors, employees and retirees. Sales from dealers to customers are reported to FCA US by dealers as sales are made on an ongoing basis through a new vehicle delivery reporting system that then compiles the reported data as of the end of each month. "Sales through dealers do not necessarily correspond to reported revenues, which are based on the sale and delivery of vehicles to the dealers. In certain limited circumstances where sales are made directly by FCA US, such sales are reported through its management reporting system." In its statement acknowledging the federal investigation, FCA differentiated between quarterly corporate financial reporting and its monthly reports of sales to retail and fleet buyers. The company noted that in its "annual and quarterly financial statements, it records revenues based on shipments to dealers and customers and not on reported vehicle unit sales to end customers." Peter Henning, a former SEC lawyer and a professor at Wayne State University Law School in Detroit, speculated that FCA is distinguishing the two methods of reporting sales as a possible defense. But Henning said the SEC's investigation appears to be a "bread and butter" accounting investigation and that attempting to differentiate the two was unlikely to be effective. He said he believes the feds are looking into monthly sales numbers, not revenue figures. "What the SEC focuses on is disclosure to investors and to the market, so they're not going to buy a claim that "We don't technically engage in sales. The dealers do.' This is all of a piece, which is: How do you measure how any auto company is doing? Sales. That's the bottom line, and that's what the SEC is going to be looking at," Henning said. Henning said the involvement of the Justice Department is another clue about the investigation. "Typically, the Justice Department will steer clear of a case until it gets indications of wrongdoing," he said. "Normally, it will defer to the SEC. Just the disclosure that they're on the scene means that there's at least smoke, and maybe a fire."